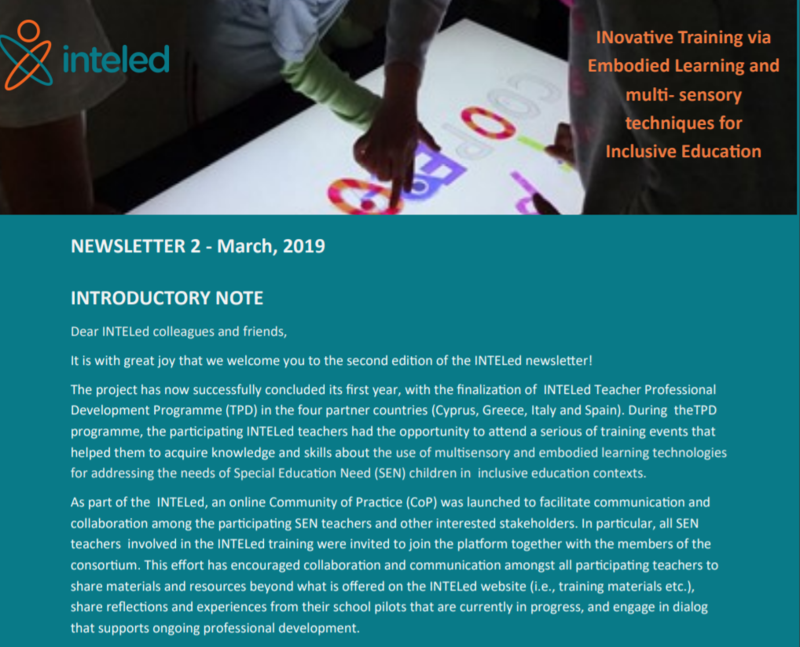 It is with great joy that we welcome you to the second edition of the INTELed newsletter! Development Programme (TPD) in the four partner countries (Cyprus, Greece, Italy and Spain). During theTPD programme, the participating INTELed teachers had the opportunity to attend a serious of training events that helped them to acquire knowledge and skills about the use of multisensory and embodied learning technologies for addressing the needs of Special Education Need (SEN) children in inclusive education contexts. that supports ongoing professional development. Join the INTELed online CoP to find more information and educational material and like our Facebook page to stay tuned with all the INTELed news and updates.